Happy Lilly Pulitzer Target collab day aka Sunday! Today's the big day and I couldn't be more excited! Wooo!! 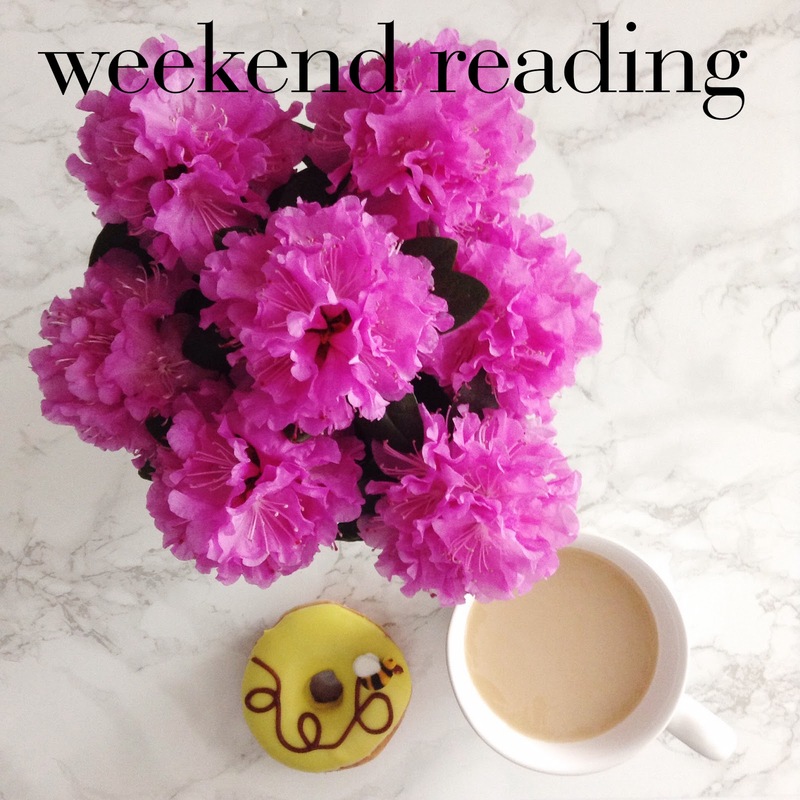 Anyways, today I'm back with another Weekend Reading! Sorry I missed last Sunday. I was sick all weekend and didn't get a chance to round everything up. This week's is jam packed with some really great links. A lot of them are fairly honest and raw but really are must reads. So let's get into them! Love the Fault in Our Stars? Then you're gonna love Me, Earl and the Dying Girl. Julia of Lemon Stripes tells the realness behind her blogging and how it isn't "a shiny, gloss manicured exterior." I think I need to get into baking..... Berry tartlets?! Perfect for summer! Holy I have died and gone to stripe heaven. Give me all of the stripes! Three of the most important questions you'll ever answer in an interview. How Pinterest and Instagram worthy was Jessica's trip to Notting Hill?! I think this would be such a cute accent wall! Who doesn't love spots? This cast is just beyond words.... This is priceless. Do you think they're all drunk? Hosting a dinner party? Well here's a great playlist to go along with the great food and company! Loving this cute little alternative 'bar cart'! Loving Mackenzie's spring to-do list! I think I am going to make one of my own! Are you?! Yep I'm definitely going to get into baking. One of my favorite bloggers Brighton of Brighton the Day took a huge step with her blog and I couldn't be happier for her! She's an amazing blogger so definitely check out her blog! There's just a few links to keep you busy! I hope you all had a wonderful weekend! Definitely got and give them a click!